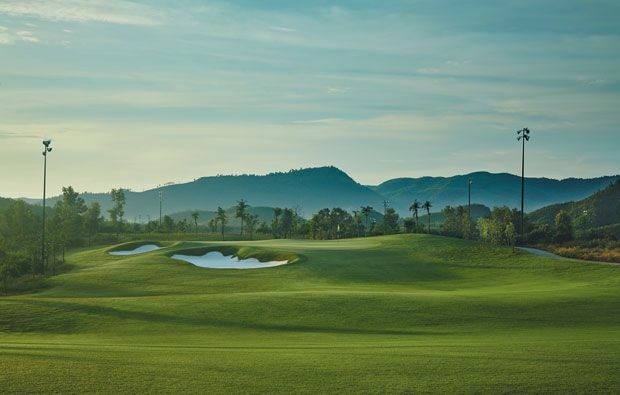 Managed by IMG which will ensure service and maintenance of the highest standards, Bana Hills Golf Club is set in the foothills close to the bottom of the famous Bana Hills Resort and is about 30 minutes from downtown Danang. 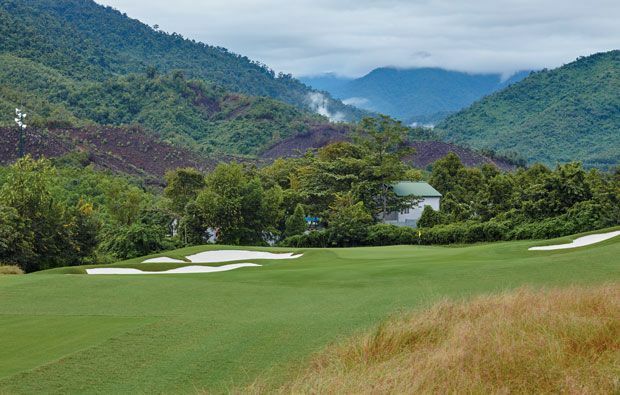 The course offer stunning views over the surrounding mountains and is sure to become one of the best golf courses in Vietnam. 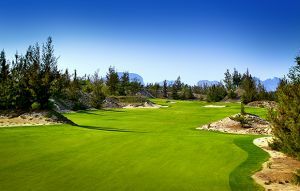 The designers have used the wonderful natural terrain to its full advantage and have produced a course which is suited to golfers of all playing levels. The variable lengths and uneven lies resulting from the undulating terrain will ensure that you have to call upon all of your shot-making skills to conquer this course. My pick of the holes on the outward nine includes the brute of a par-3, 2nd which is 260 yards from the back tees – only relief is that it’s downhill and the green is generously large. The 5th is the second of back-to-back par-5’s and measures 708 yards!! It starts with a medium to long carry off the tee (depending on which tee you play) and then the hole zigzags right and then left as you get close to the green which is protected by bunkers on both sides. The 7th is a classic risk and rewards par-4 and long hitters need to be aware of water which waits around 290 yards off the tee – better to lay up between the fairway bunkers leaving a reasonable shot to the green . If you blast it over the bunker off the tee you can be rewarded with a much shorter approach but plenty of danger waits if you don’t catch it just right. The 8th is a wonderful par-3 and you have to take on the water and hazard if you want to attack the pin – less accomplished golfers will probably want to bail out right. The shortest par-4 on the course to start the back nine so you can open your shoulders but beware the raised bunkers in the centre of the fairway and then it’s a tough approach to an elevated green. The par-5, 11th is probably the most difficult on the course with a very narrow fairway lined by water on one side and jungle on the other. Great view over the entire area from the 12th tee box. This long par- 3 is made shorter as there is a 50 metre drop from tee to green so you probably need to choose at least 2 clubs less than you would normally. The 16th is another par-3 and you play from another elevated tee to an island green which is quite generous in size. The 17th is great fun and is a sharp dogleg which demands and accurate tee shot between the fairway bunkers and an accurate approach to the green which is surrounded by water in front and to the left. 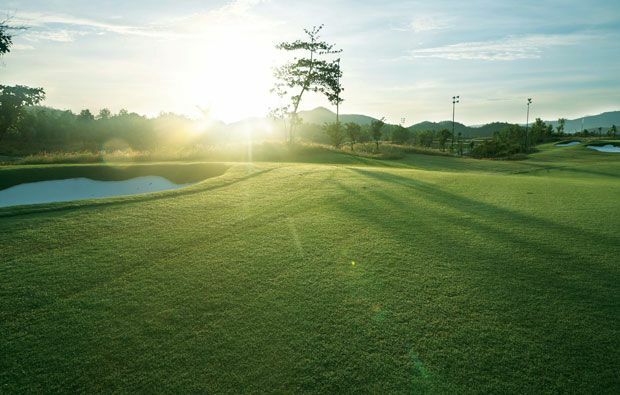 Take advantage of our discounted green fees and book a tee time at Ban Hills using our simple booking engine. 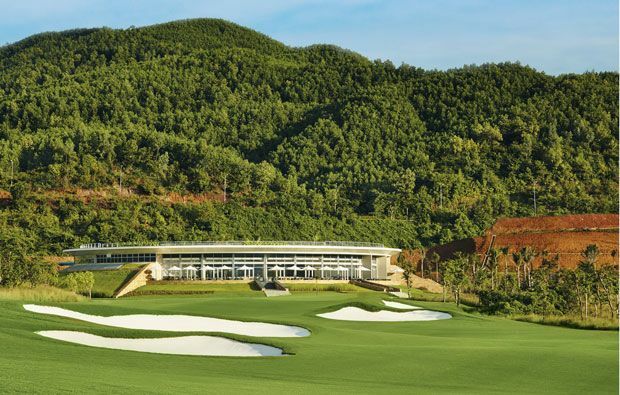 Bana Hills Golf Club has different Services to offer. Choose a date and number or players to see the rates.